Facebook Phone Number | Facebook Account Phone Number: Let's get started with how to add or remove a mobile phone number from your account on Facebook. You can configure Facebook such that you can use either your email address, username, mobile phone number, full name, and your password to access your account. Whenever you go to Facebook's home page to sign into your account, the necessary fields on the page requires you to enter your email address and your Facebook password. 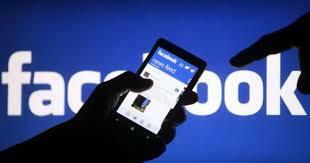 See: Facebook: How Do I Deactivate My Account Temporarily? But in this post, you'll see how to add a new mobile phone number to your account or switch numbers on Facebook. You'll also see the steps you need to follow to remove a mobile phone number from your account on Facebook. 5. You'll need to click Add another mobile phone number to activate a new number. 6. Type your mobile phone number and click Continue. Follow the steps on how to add a mobile phone number to your account above and then click Remove from your account next to any number you'd like to remove. It's recommended you add an email address to your account so that in case you lose your mobile number, you can use email to access Facebook. Bear in mind that Facebook will send you a confirmation email when you add a new email to your account. You'll need to click the link in that email to confirm that you want this email added to your Facebook account. 1. Log into your Facebook account if you've not done that already. 4. Next, navigate to the left column of the new page that displays and click Contact in the General tab. 5. Click Add another email or mobile number to add a new email to your account. Click Remove to delete an email from your account instead. 6. Click Add or Save Changes. Note that you will need to re-enter your Facebook password and click Submit before a new email is added to your account.